Ukraine International Airlines (UIA, Kyiv) has been assigned with the right to fly on the Kyiv-Addis Ababa route, the Ukrainian Air Transport Association (UATA) has reported. 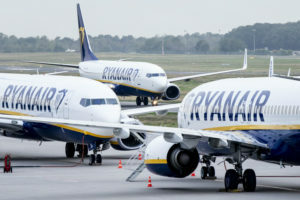 The press service of the airline confirmed the fact to Interfax-Ukraine, adding that at present, they cannot say when the airline will start flying to Ethiopia, as the negotiations have not yet been completed. The airline will fly from the Boryspil international airport. As reported, in December 2018, the State Aviation Service of Ukraine approved all applications of UIA for servicing regular flights from Kyiv to Riyadh (seven flights a week), Dammam and Jeddah (Saudi Arabia) three times a week with unlimited duration. UIA was founded in 1992. According to the National Commission for Securities and the Stock Market and the public register, 100% directly or indirectly is controlled by Cypriot-based Ontobet Promotions Limited which beneficiaries are not disclosed. The fleet consists of 45 airplanes of different modifications. 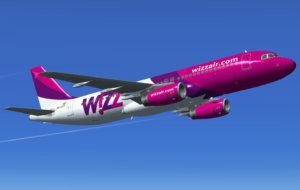 Hungary’s low cost airline WizzAir is interested in flying to the Kherson airport, Wizz Air Executive Vice President and Deputy Chief Executive Officer Stephen Jones said at a press conference. “We had a very interesting and productive meeting with representatives of the Kherson airport. We are working on this issue. I am considering the possibility, but if I’m not mistaken, it is very important to have a runway in Kherson to service our planes. This is an excellent region,” Jones said. He also said that he was pleasantly surprised by the professionalism of the airport team and expressed hope for future cooperation, but refused to specify the possible dates for the beginning of this cooperation. WizzAir is the largest low cost airline in the Central and Eastern Europe. It offers flights from 142 airports in 44 countries. 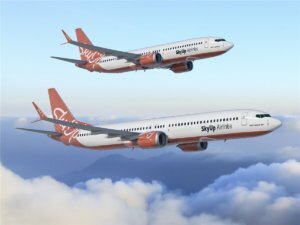 Its fleet consists of 100 Airbus A320 and Airbus A321 planes.